EXO Stainless is sure to withstand even the most brutal of riding conditions. Constructed of high-strength, 304 stainless steel from front to back. 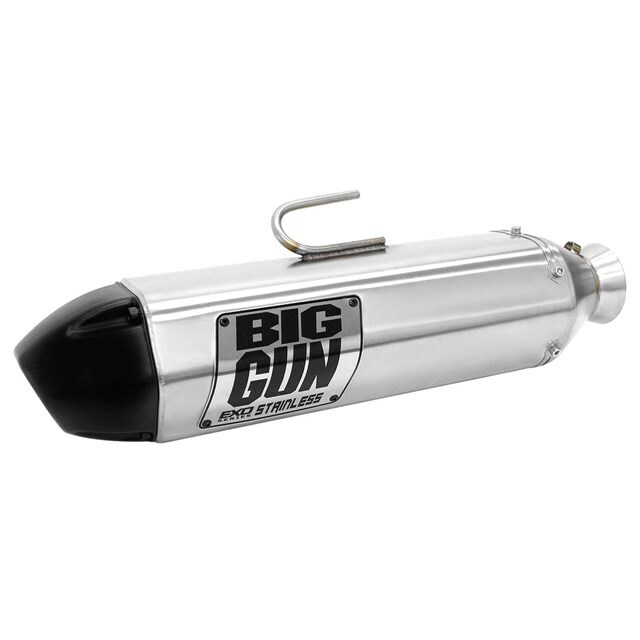 Using the current EXO Series design as a platform, Big Gun swapped out the aluminum muffler for a stainless muffler, replaced the aluminum base plate with a TIG-welded stainless steel plate and added a trick looking stamped, stainless badge to top it off. 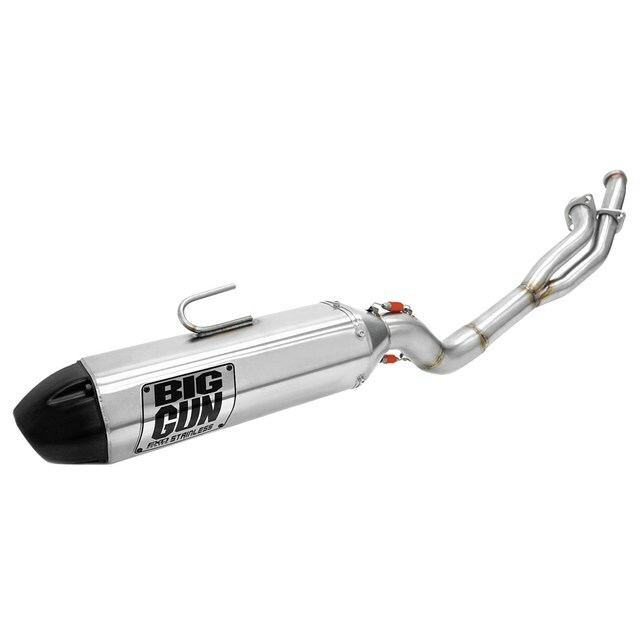 equipped with catalytic converters or are used only for racing and are never used upon a California highway.